We had a very busy 2016, completing 51 bespoke rooms for clients across the UK. Each project was designed to the clients specific style and we worked across a range of houses from city new builds to a large castle in the borders. We are now looking forward to a busy and creative 2017! 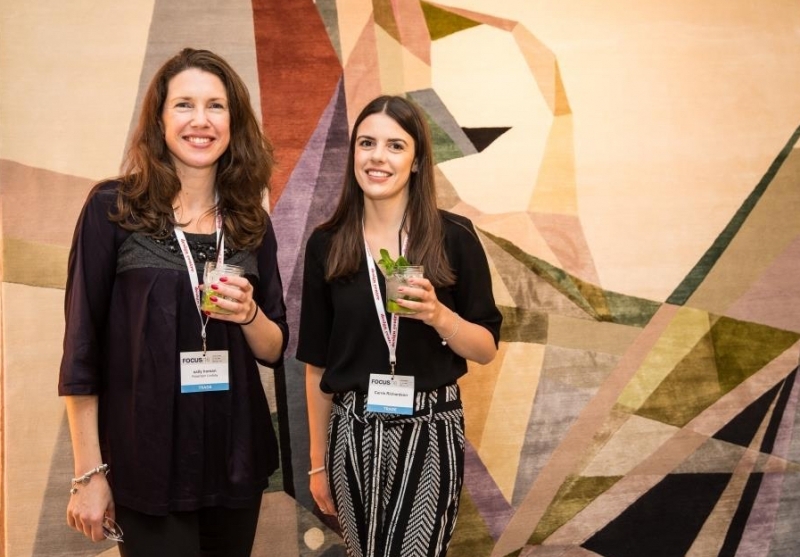 We were pleased to promote Carris Richardson to Junior Interior Designer at the start of the year. Carris is an interior architecture graduate and is our expert in 3D drawings and rendering. 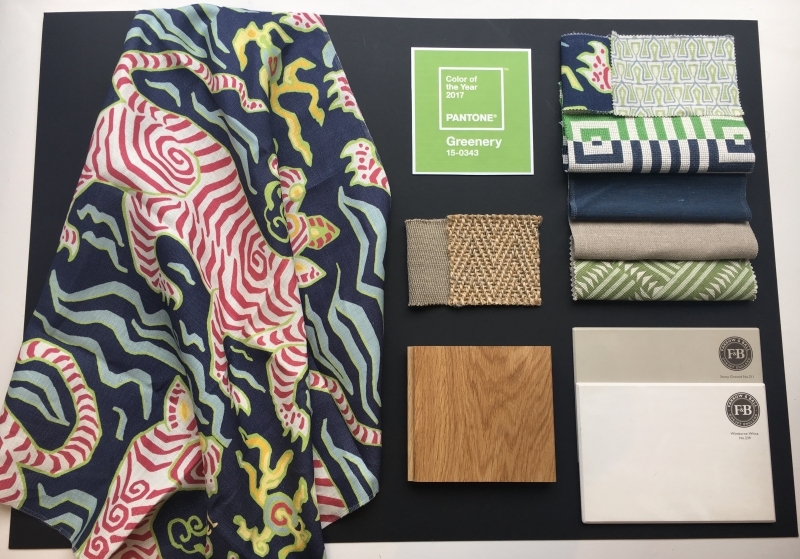 Our fabric suppliers have show us their launches for this spring and we can see some strong trends in interiors for 2017. Here are our trends to watch for this coming year. 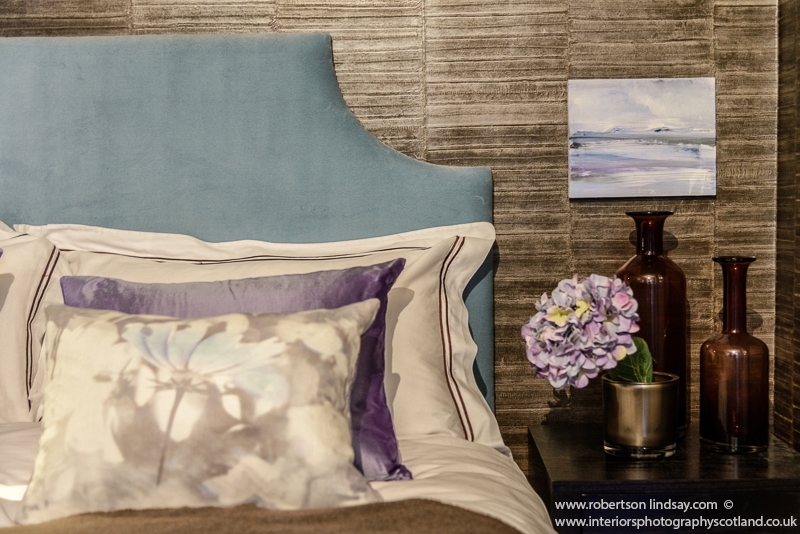 This year we see a move away from soft tones of last year’s palette to a new fresh and invigorating look. Our clients are starting to request more colour in their homes and bolder shades. 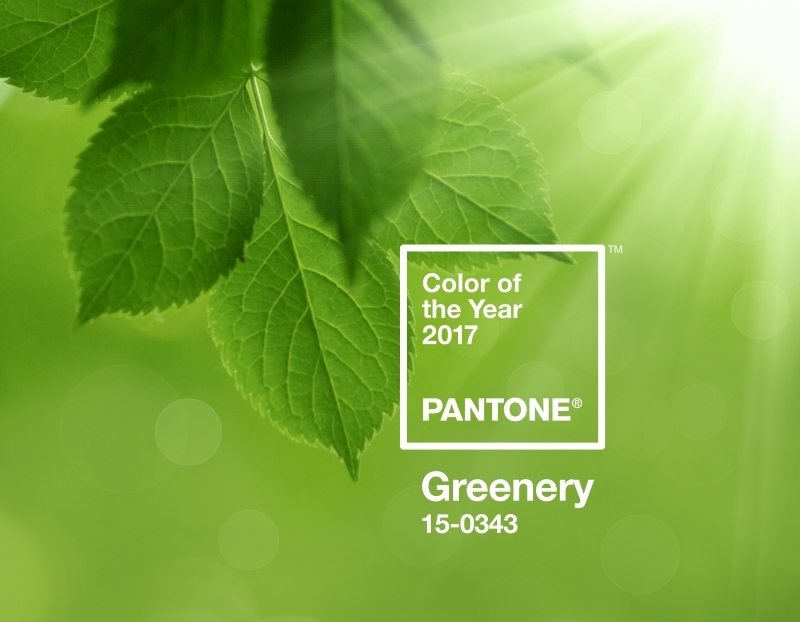 The Pantone colour of the year for 2017 is Greenery. It can be paired with a variety of neutrals, brights, deeper shades and metallics. We have just completed a drawing room design in classic neutral paint colours with this shade of greens for the curtains. It gave a great pop of colour and a contemporary edge to a classic Georgian room. This year navy is expected to replace black, giving a modern twist with a traditional feel. 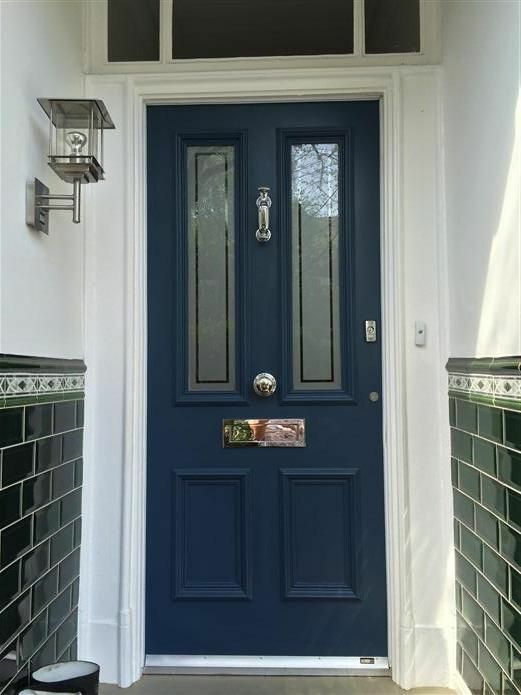 We recently used Farrow & Ball Hague blue for a Front door of a New Town town house for a client. Here is a similar image from Farrow & Ball. For our window display this month we have mixed navy with the green Pantone colour of the year. It is a fun contemporary look that wouldn’t look out of place is a classic home. 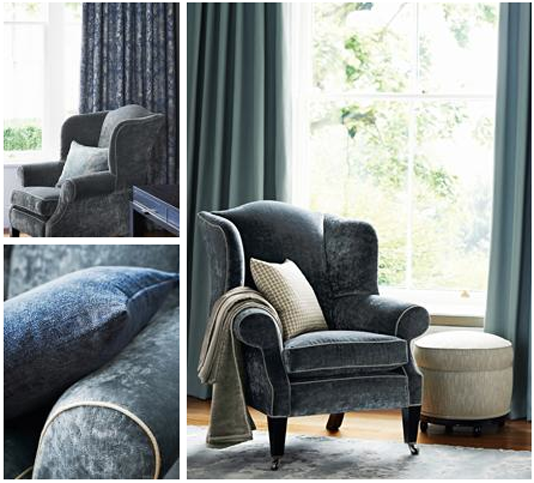 Velvet is texture we like to use to add a touch of luxury and opulence to a room. Last year we commissioned bespoke sofas and headboards in velvet and we expect to do more this year. We frequently layer it with silks, leathers and wood to give a contrast to the textures. One of our favourite velvets is the Curzon from Zoffany. It has an antique look to it so it doesn’t show the pile as much as a normal velvet. Finally here is an image of one of our bespoke headboards upholstered in velvet, complemented with dark leather wallpaper and feminine silk cushions.